Entre os dias 17 e 21 de fevereiro acontece em Dubai, nos Emirados Árabes a 24ª edição da Gulfood. Considerada a maior feira do segmento de alimentos e bebidas do Oriente Médio, a feira conta com a participação de mais de 4 mil expositores do mundo inteiro, e espera a visita de 100 mil pessoas. O evento, que acontece no Dubai World Trade Center, tem como tema dessa edição “O mundo do bem, o mundo da comida”, e ao longo dos 5 dias irá tratar de assuntos como as tendências de consumo, novos sabores e oportunidades de consumo. Ao participar da feira, a Minuano tem o objetivo de fortalecer laços, fazendo a manutenção das vendas, além de buscar novas oportunidades. Companhia Minuano will be present at the largest food fair in the Middle East. 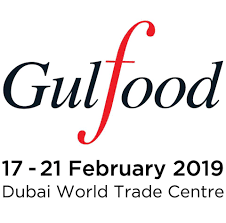 The 24th edition of Gulfood will be held in Dubai, United Arab Emirates from February 17th to 21st. Considered the largest fair in the food and beverage segment of the Middle East, the fair is attended by more than 4 thousand exhibitors from around the world. For the fair, are expected more than 100 thousand visitors. The event that happens at the Dubai World Trade Center, come with the theme of this edition "The world of good, the world of food" and over the 5 days will address issues such as consumer trends, new flavors and consumer opportunities. The company's goal is to strengthen ties with customers, maintain sales, and seek new opportunities. For more information and meeting scheduling, do not hesitate in contact the sales team at export2@minuano.com.br.